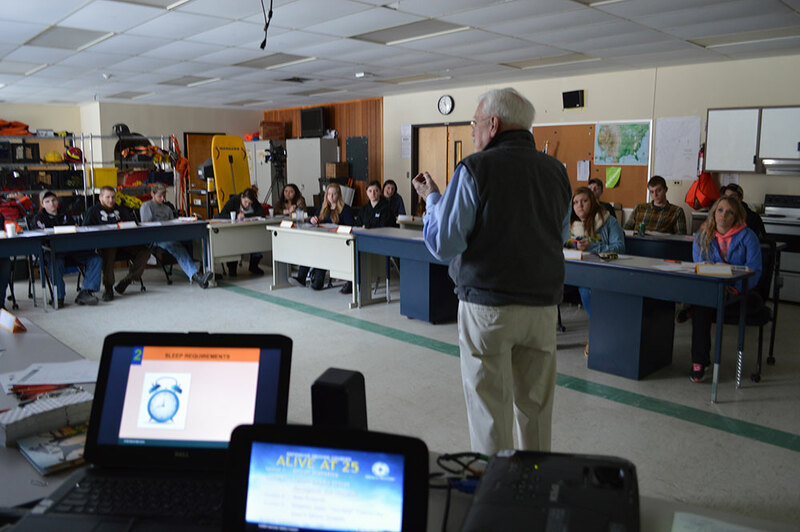 A Driver Safety Fair can bring many of Vermont’s safety-minded organizations together at your school to create an event that’s rich with information and experiences that help young drivers make better decisions behind the wheel. The Youth Safety Council of Vermont created this resource — a contact list of presentations, workshops, displays, simulators, and experiential demonstrations — so you can independently build a campus safety event that fits your needs. Explore the programs, and contact the ones you’d like to bring to your school! 1. Below are links to programming provided free of charge to schools and community groups in Vermont. Decide which programs — or combinations of programs — you’d like to come to your students. You’ll find that some programs need special circumstances – like asphalt to drive on or to park a large truck – and some are more appropriate for the indoors. The guide is meant to help you choose programming that fits your needs. 2. When you want a program to come to your site, contact the program coordinator to explore scheduling it. You’ll find that many different organizations are providing these programs, so expect that each one will have its own person to reach out to. The contact information is below the program description. This directory of free safety programming is provided as a community resource by the Youth Safety Council of Vermont and the many organizations that work together as the Vermont Highway Safety Alliance. Here’s a new guide to hosting a school-wide safety fair, created by the Youth Safety Council of Vermont and Mt. Abraham Union High School! 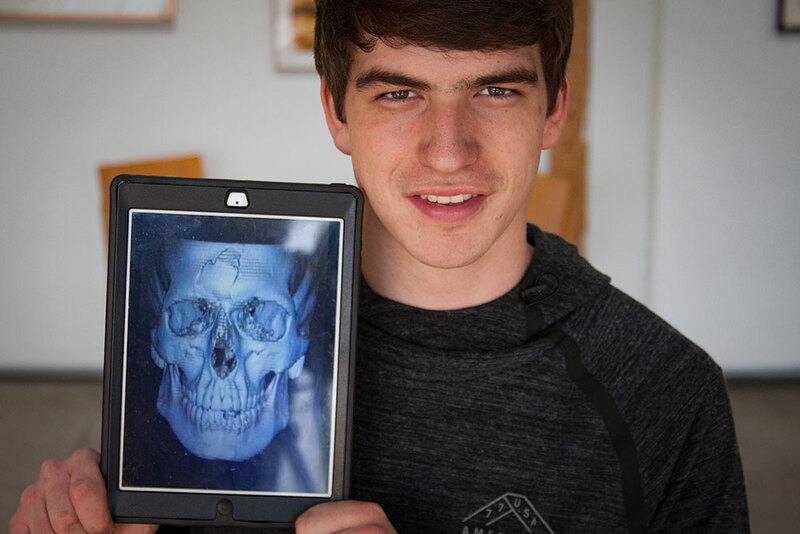 High school senior Ryan Cotnoir fell asleep at the wheel and nearly lost his life. He speaks to students with first-hand experience about how important it is to get sleep and be focused while driving. Ryan’s presentation is about ten minutes long and includes a dramatic slideshow of images from the crash — his truck hit a maple tree — and his condition in the hospital. He shares honestly and straightforwardly about the consequences of falling asleep and being responsible for a crash; for him, a crash in which he was so battered, bystanders assumed he was dead. He asks, “What if I had died?” and how would that have affected his family and friends? the presentation is a consciousness-raising experience for students who think that falling asleep at the wheel couldn’t happen to them. Contact Ryan Cotnoir, (802) 323-4119, ryancotnoir30@gmail.com. A blind spot refers to an area where a driver loses sight of other vehicles. 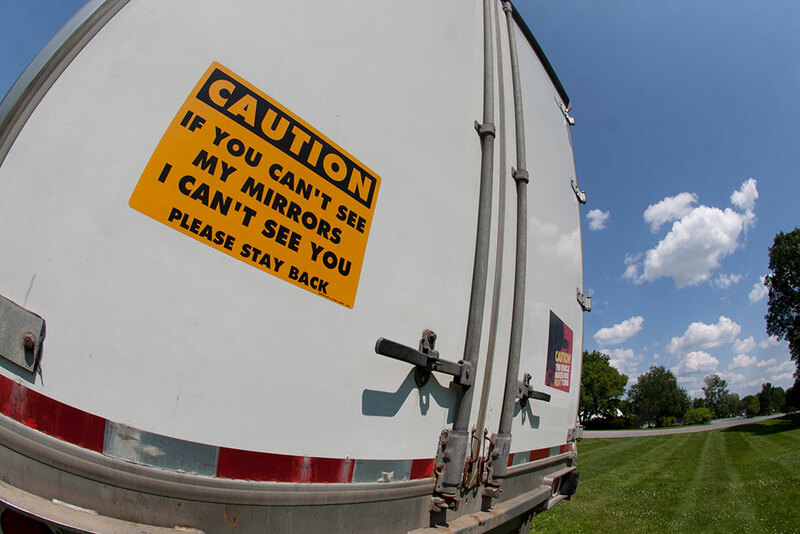 Many drivers assume that trucks can see everyone on the road because they sit higher off the ground, but the blind spots that a truck driver experiences are big, on both sides of their truck, and can hide entire cars from them. Big truck blind spots are called no-zones, and understanding how dangerous they can be is an important part of learning to drive safely. The Vermont Highway Safety Alliance has coordinated with several trucking companies to bring ‘big rigs’ to Vermont schools to demonstrate blind spots; young drivers get to sit in the truck cab to see that cars parked in the no-zones are completely hidden to them while in the driver’s seat. Contact James Lockridge, Executive Director of the Youth Safety Council of Vermont, (802) 881-9050, info@yscvt.org. The photo was taken by YSCVT with thanks to Vermont Commercial Warehouse in Williston. Fatal Vision® Impairment Simulation Goggles are a hands-on prevention tool that help young drivers experience what it’s like to be under the influence of alcohol. They use a special lens technology that allows the wearer to experience a realistic simulation of impairment. Simple activities while wearing the Fatal Vision® Goggles, such as walking a line “heel-to-toe”, standing on one leg, or reaching out to grab a set of car keys, become effective teaching moments as students experience how susceptible they are to potentially dangerous consequences. (This information is from fatalvision.com). Several sets of Fatal Vision® goggles are held by Vermont organizations willing to make them available to educators. Contact James Lockridge, Executive Director of the Youth Safety Council of Vermont, (802) 881-9050, info@yscvt.org. Ride Safe Vermont brings the SMARTrainer, a motorcycle and scooter simulator that lets students experience how vulnerable a rider can be. With real motorcycle controls (it shifts like a ‘bike’ and has dual brakes) or set to simulate a scooter, it lets riders navigate realistic traffic situations and develop perception before having to deal with real-world risks like traffic awareness, hazard avoidance and those all important perception and motor skills that you will need in an increasingly complex mix of traffic. 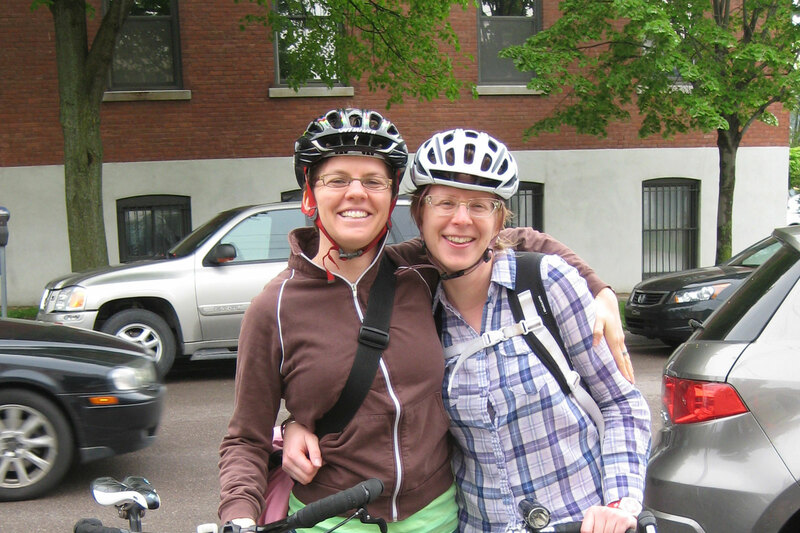 Contact: Bill Mitchell, Ride Safe Vermont, (802) 497-0233, bill@ridesafevt.com. 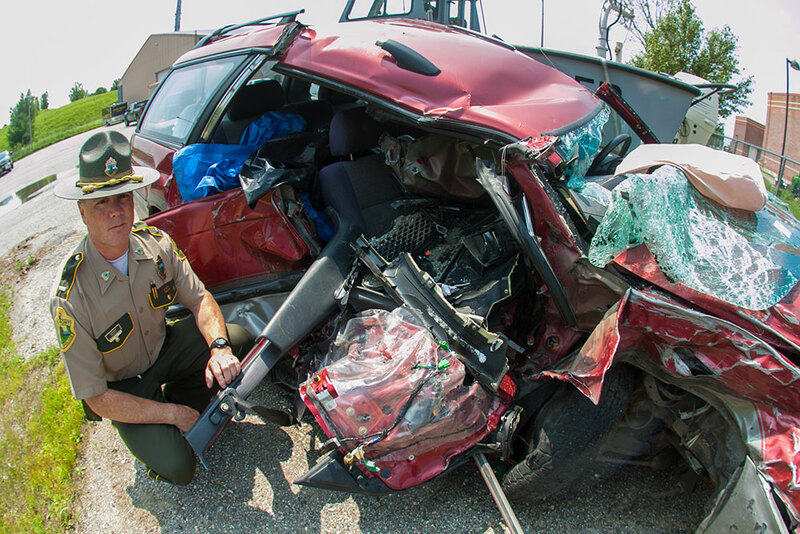 The Vermont State Police Crash Reconstruction Team helps law enforcement agencies investigate and reconstruct more than 40 serious or fatal crashes every year. They work with electronic optical survey and distance measuring equipment, diagramming applications, and data from air bag computers to learn how a crash happened. The team shares first-hand accounts of what can go wrong just before and during crashes and describe the dramatic consequences of crashes that could have been avoided if drivers made better decisions. Contact: Lt. Garry Scott, Vermont State Police Crash Reconstruction Team, (802) 872-4056, garry.scott@vermont.gov. Photo: Lt. Garry Scott at the Williston Vermont State Police Barracks. The Distracted Driving Simulator is a tool to help educate young drivers about the dangers of distracted driving in a safe classroom setting. This computerized, portable device provides students with a realistic simulation to understand just how distracted drivers are when they attempt to text and drive. 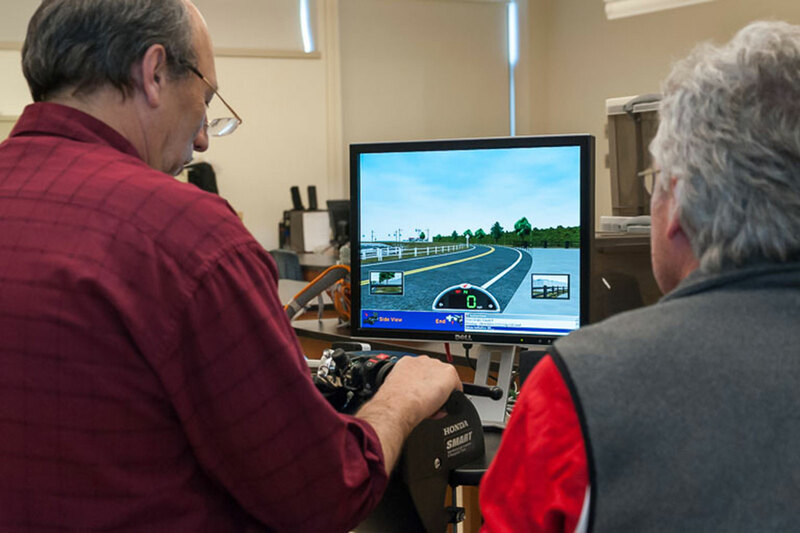 A gaming steering wheel, foot pedals, and a large screen monitor help place the drivers in the simulation. The program offers real-life ‘consequence videos’ including law enforcement, and trauma rescue videos, based on how the driver performs. Contact: Stephanie Busch, Vermont Department of Health, (802) 863-7313. stephanie.busch@vermont.gov or Chrissy Keating, University of Vermont Medical Center, (802) 847-2291, Christina.Keating@vtmednet.org. Photo by YSCVT: Chrissy Keating with the UVM Medical Center Distracted Driving Simulator at the Hub Teen Center in Bristol during an AT&T ‘Drive for Pledges’ event. Ride Safe Vermont offers a 30 to 60-minute workshop about intersection safety and shared responsibility, created by the Motorcycle Safety Foundation, a national resource for safety education. With video and an experienced presenter, the program combines personal stories and character development with a dramatic new look at a crash scene that’s all too common. Contact: Bill Mitchell, Ride Safe Vermont, (802) 497-0233, bill@ridesafevt.com. Photo courtesy Pixabay under Creative Commons CC0.